Tyler O'Neill is batting .286 with one home run and four RBIs in 28 at-bats this season. After leaving Monday night’s loss to Milwaukee with injuries, outfielder Tyler O’Neill and reliever Mike Mayers were placed on the 10-day injured list Tuesday, necessitating several other roster moves. Infielder/outfielder Yairo Muñoz and right-handed relievers Giovanny Gallegos and Ryan Helsley were recalled from Triple-A Memphis. In addition, infielder/outfielder Drew Robinson was optioned back to Memphis. O’Neill is out with right elbow ulnar nerve subluxation. He is batting .286 with one home run and four RBIs in 28 at-bats this season. Mayers, who has a right shoulder lat strain, is 0-1 with a 5.40 ERA and eight strikeouts in 8 1/3 innings spanning eight games. Gallegos returns to the club after earning his first big-league win and pitching in his native Mexico last week before being sent back to the Redbirds. The 27-year-old is 1-0 with a 5.40 ERA and four strikeouts in 1 2/3 innings with St. Louis in 2019. Muñoz interrupted an assignment to Memphis to serve as the Cardinals‘ 26th man during last weekend’s Mexico Series. 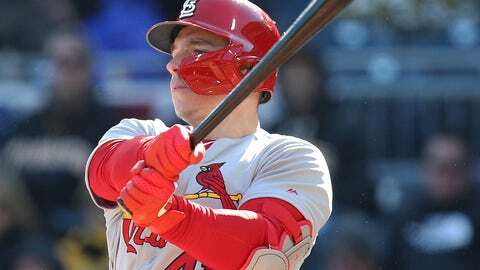 He got one hit in four at-bats while being used sparingly to start the season with St. Louis. Helsley, 24, will have a chance to make his big-league debut with the Cardinals. A fifth-round draft pick in 2015, Helsley was 0-0 with a 3.86 ERA in two starts for Memphis this season.